The cold weather this week has had me thinking about Christmas, it really is just around the corner you know! What better way to get in the Christmas spirit than with a good Christmas book. 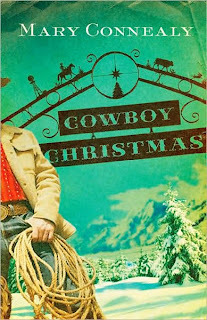 This week I chose to read Mary Connealy's Cowboy Christmas. While not as humorous as her Lassoed in Texas series, this stand alone had its moments, there was some ear pulling, some crying and one henpecked cowboy. Annette Talbot, a singer with a missionary troupe abandons the group when its new managers, the Leveque's want her to do things that go against her faith. 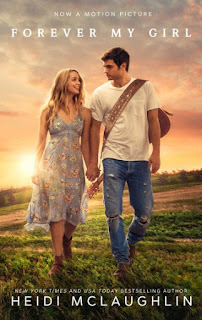 Having no money and no place to turn she decides to travel to Ranger Bluff, Wyoming, with a hope to reunite with her father. However, the Leveque's won't let her go that easily and literally drive her over the edge into the arms of Elijah Walker. Walker who was once betrayed by his fiancee is reluctant to help or trust any woman, but his ma, Ruby has a different idea and immediately cottons to Annette. Just when Walker begins to trust, nasty rumors reach his ears from the scheming Leveques. Nobody is safe and Annette has to find a way to save herself and her new friends. Right from the beginning this book is full of drama. There's two murders and some beatings. Mary Connealy sure knows how to grab a reader! Annette is a wonderful heroine and you can't help but root for her in her escape from the Leveques. Elijah Walker is great too, a real stubborn hard headed man with a soft hear underneath. This story is never boring and the banter between the characters is very interesting. I really liked Ma and Gabe too...I think he needs his own story! I also would like to find out what happened to Annette's father as well. This book is a nice Christmas story that I recommend to anyone who likes romance and cowboys! I received this book in a contest from the authors at the Seekerville site! Go visit them, they're awesome!